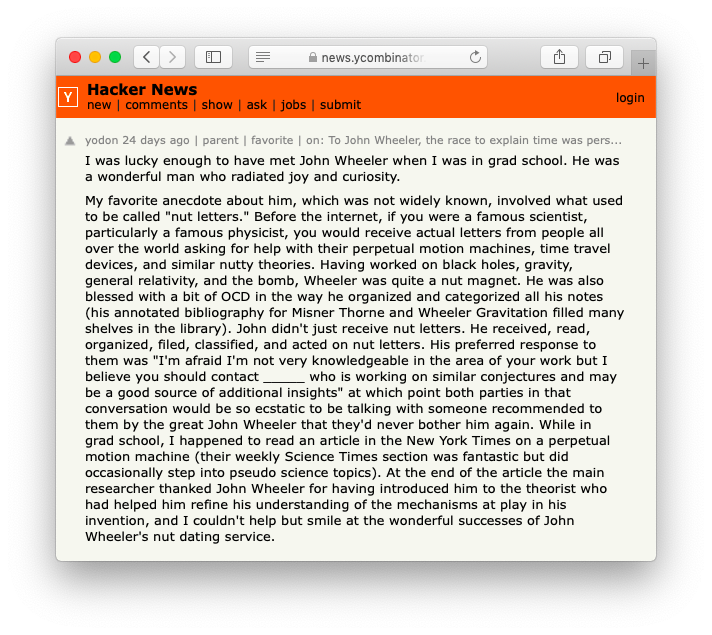 Here are some of our favorite Hacker News comments from August to November. Listening to The Shipping Forecast as an English language self-assessment after moving to the UK. A Semitic philologist comments on a neural network trained on Arabic morphology. Ferrying twin engine aircraft to the newly formed Czech Republic. 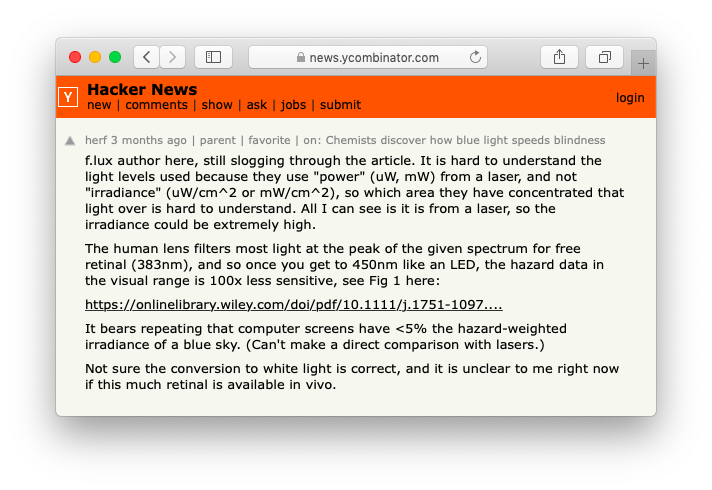 The f.lux author comments on an article about blue light. 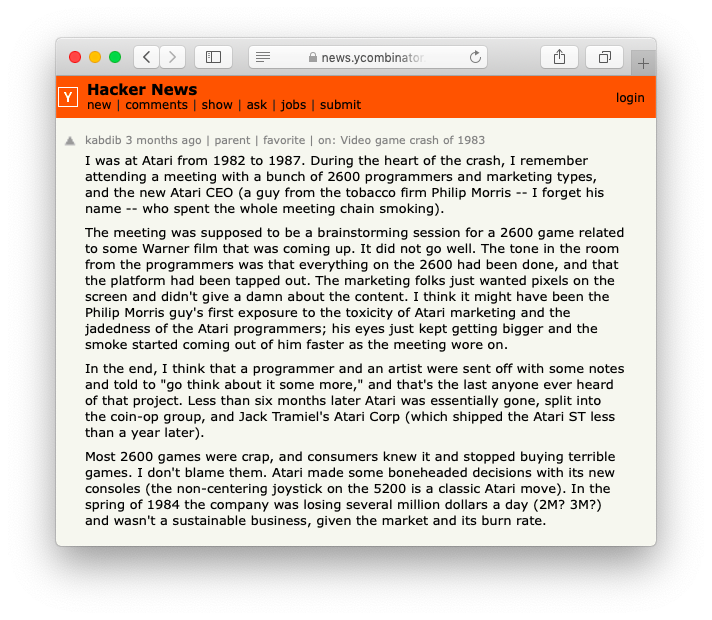 A 1980s Atari employee comments on the video game crash of 1983. An author of What Makes Paris Look Like Paris? comments when the paper resurfaces six years after publishing. 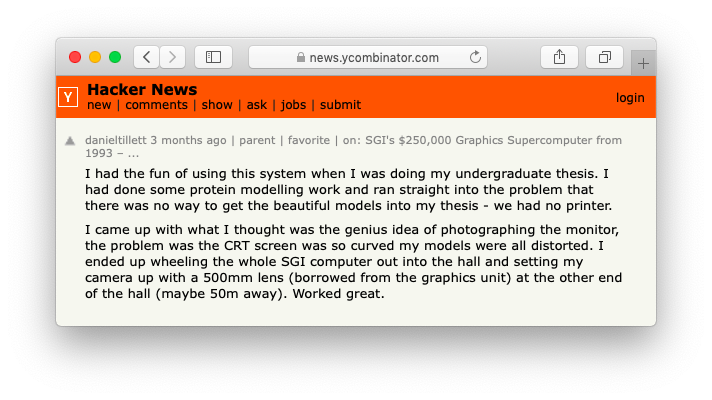 Using a $250,000 computer for an undergraduate thesis. A portfolio site that crashed computers running Internet Explorer on Mac OS Classic. 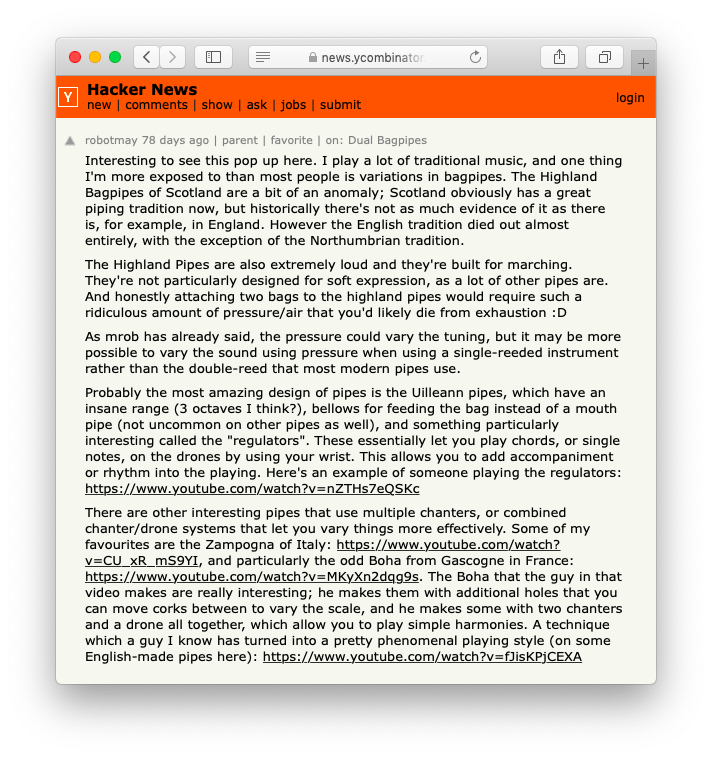 A HN user shares some bagpipe knowledge. An unusually clear explanation of lambda lifting. Developing Crash Bandicoot for PS1 and on the languages used. 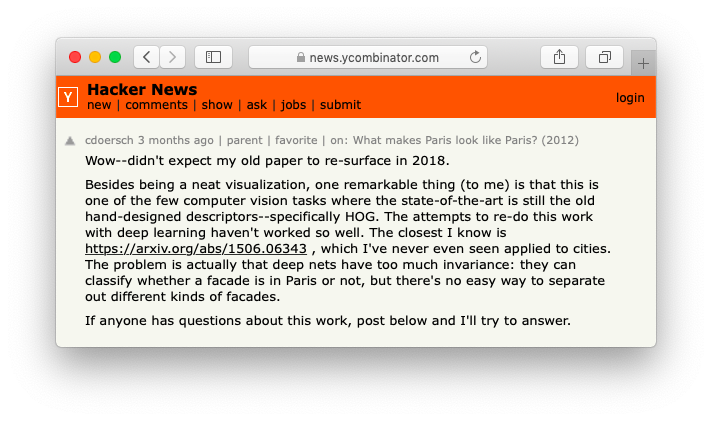 A HN user stumbles across their own paper airplane website on the front page. Remembering a powerful passage from Frank Capra’s autobiography. 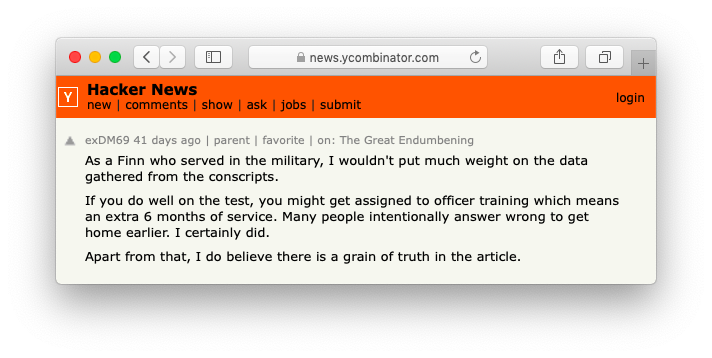 A geologist arrives to set HN straight about a misleading piece of science journalism. 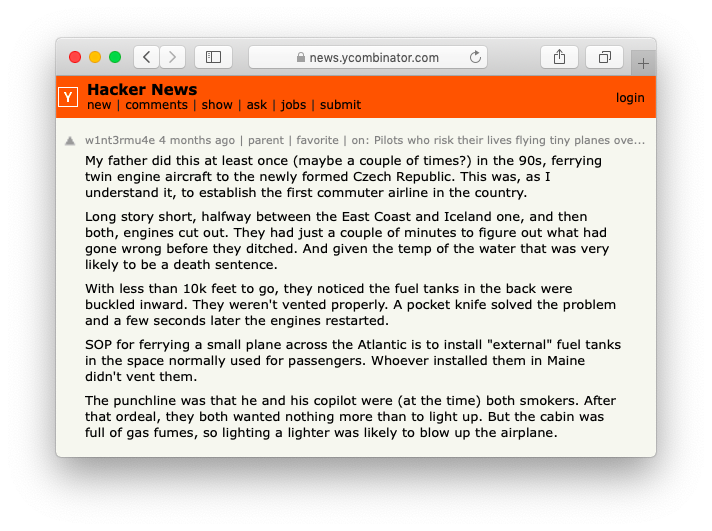 A Finnish HN user offers insider explanation for evidence of declining IQs in test scores. 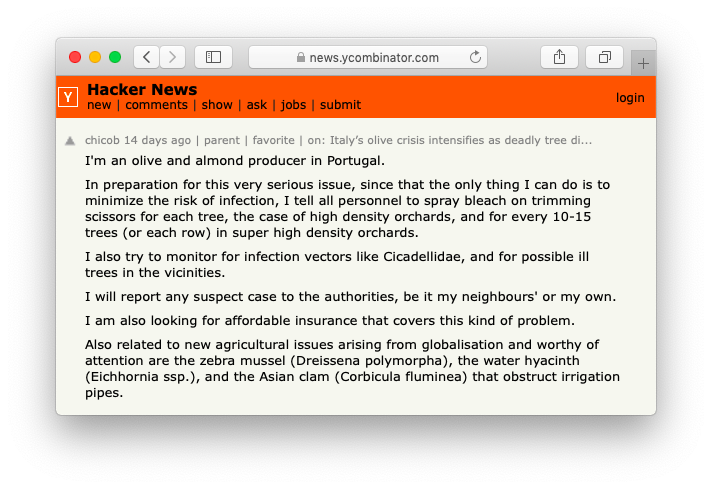 A HN user on Brown Recluse spiders in their auto repair shop. John Wheeler’s “nut” dating service. A TV meteorologist experiences tech envy. A thread on bad codebases ranging from war stories to horror stories. 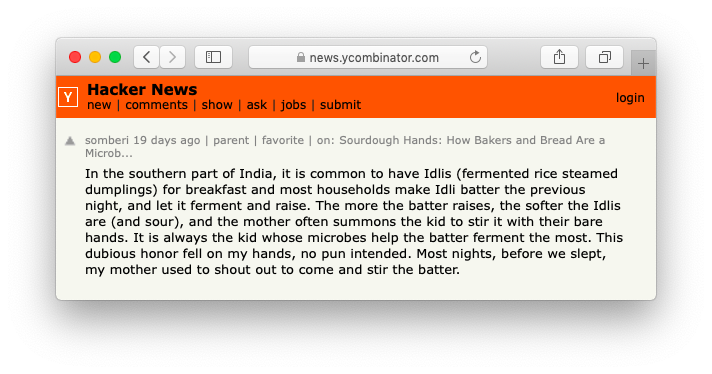 A HN user is the chosen child for dumpling microbe inoculation. First-hand insight into Southern European olive production. A childhood with Victorian culinary trading cards. 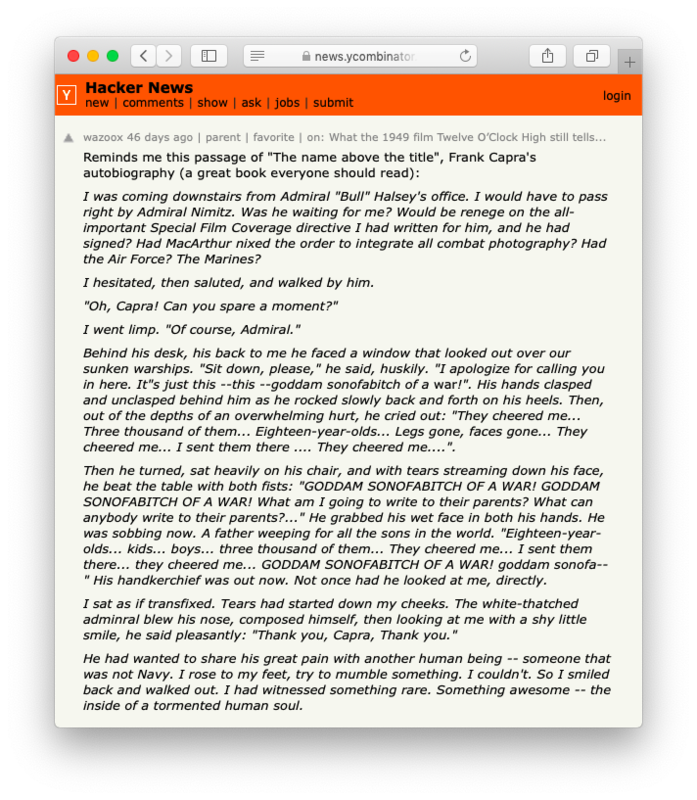 A story about meeting Ricky Jay.